It is possible to view your email account directly through a web browser, instead of using Outlook. This can be used during any period that Outlook is not currently available and from any computer. 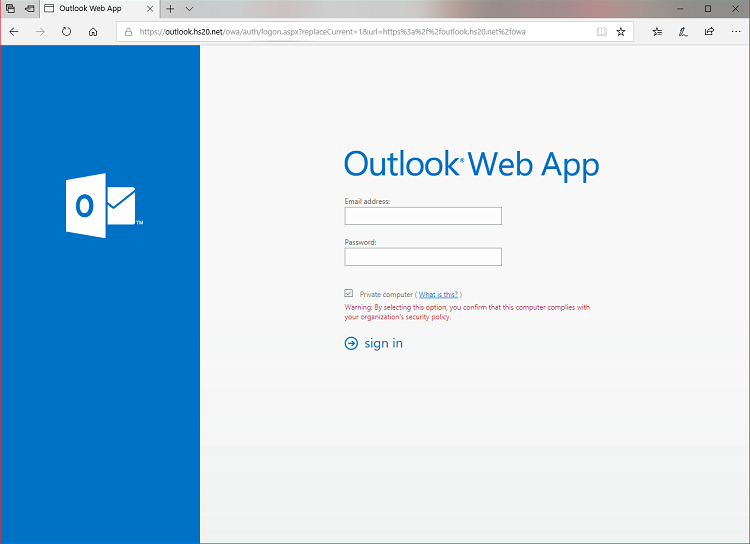 To view the Outlook Web Access (OWA) for your account you simply need to head to https://outlook.hs20.net in your web browser of choice. You will be prompted to enter your email address and password on arrival. Entering these will give you access to your mailbox. Note: Access to the OWA is at the discretion of your account administrators. If you are having issues logging in it is worth checking with them to ensure that the service is enabled for your account.